Stephen King’s It is my favourite of the author’s many novels. ABC’s miniseries from 1990 also left an impression on me as a young boy. 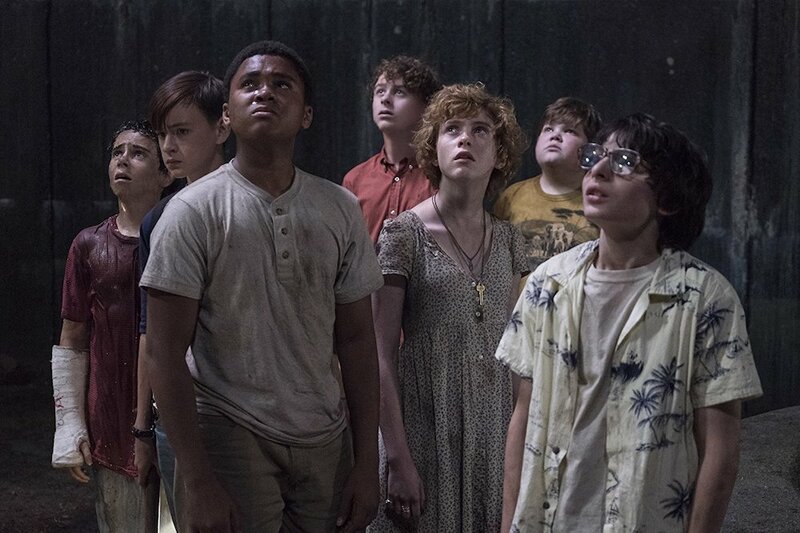 I don’t think age has much to do with your enjoyment of Andy Muschietti’s long-awaited “remake”, but being in my late-thirties certainly gave this film an added layer of pleasure. Im 1989, I was roughly the same age as It’s child heroes (their story has been updated from the 1950s), so the look and feel of everything transported me back to my childhood. Or, more accurately, the childhood American cinema sold to the world through various Steven Spielberg and Joe Dante movies of the time. I don’t think it’s a coincidence that filmmakers who grew up in the ’80s are making movies that take place there today. 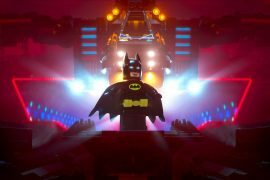 It helps to monetise nostalgia in middle-aged parents keen to take their own kids along, but also shows today’s youngsters some of the bite and nastiness ’80s horror inflicted on their parent’s impressionable minds. These days, it’s cool to have seen every Harry Potter, back then it was how many Nightmare on Elm Street sequels you’d managed to see on VHS. It is an excellent movie that gets almost everything right. I was worried about the decision to only tell the “flashback” in one movie, partly because you don’t get the full effect of what King’s opus is trying to achieve that way. I needn’t have worried, because it works extremely well as a classic kid’s adventure into the supernatural. 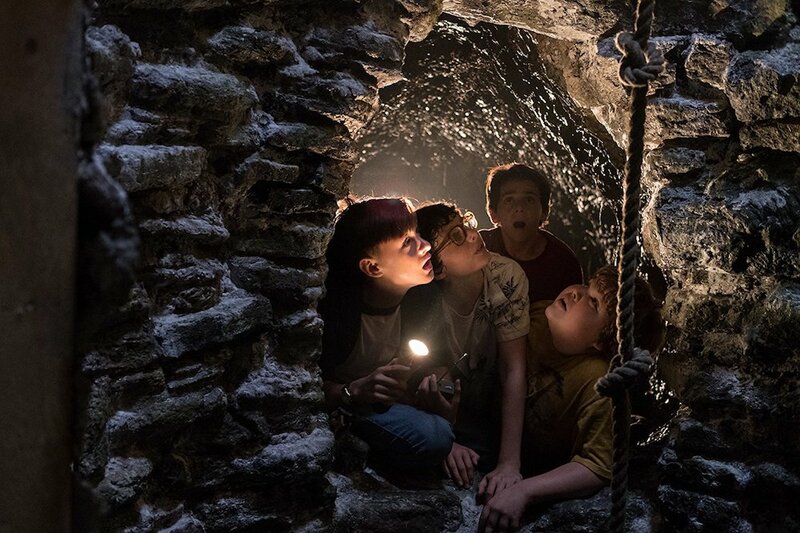 It’s The Goonies crossed with Stand By Me (another King classic), only with a terrifying shape-shifting clown that’ll bite your arm off. It concerns a group of young outcasts living in the small-town of Derry, Maine, in the summer of 1989. 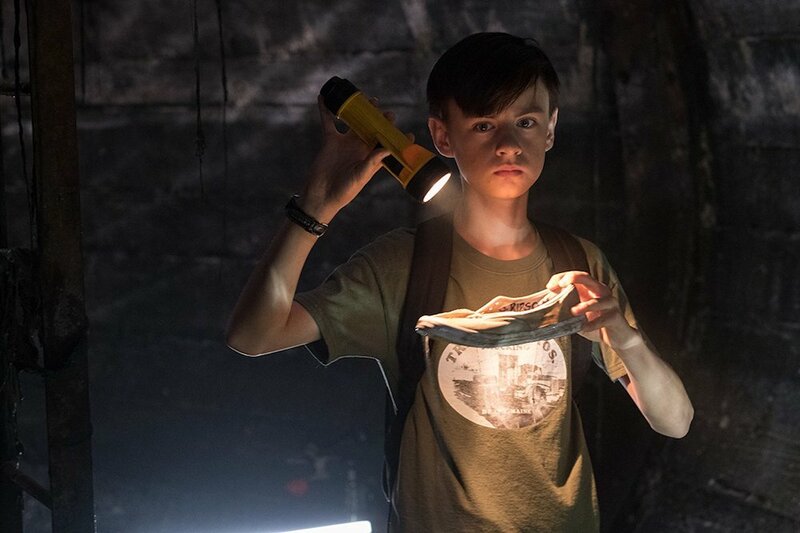 The previous autumn, Bill Denbrough (Jaeden Lieberher) suffered the tragic loss of his little brother Georgie (Jackson Robert Scott) one rainy day, after making him a paper sailboat he lost down a drain. 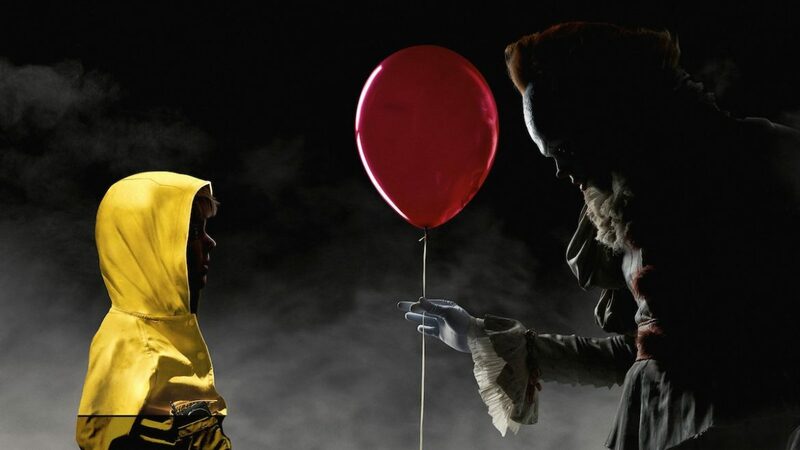 Georgie is believed to have been washed away by the storm, but in fact he was eaten alive by a creature lurking in the sewers resembling a clown called Pennywise (Bill Skarsgård). The following summer, kids are still going missing and there’s now a seven o’clock curfew. 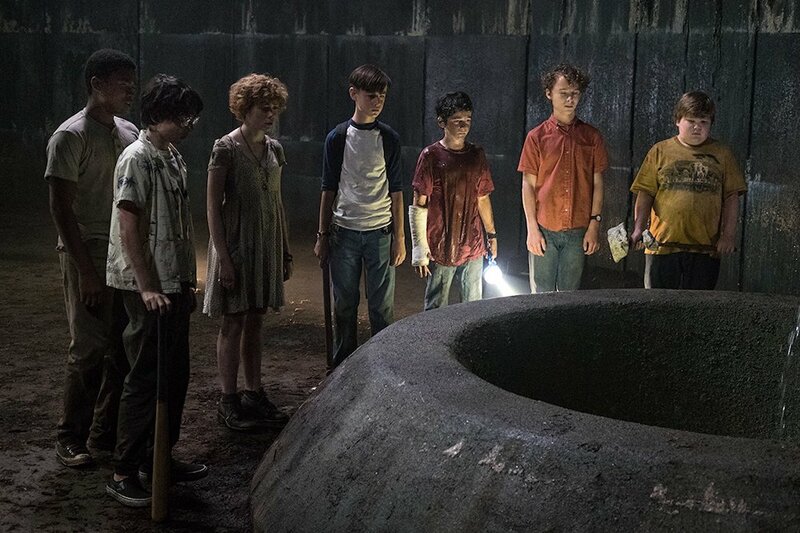 But only stammering Bill comes to deduce the truth behind these disappearances, with the help of his friends in the so-called Losers Club: overweight newcomer Ben Hanscom (Jeremy Ray Taylor), smart-mouthed Richie Tozier (Stranger Things’ Finn Wolfhard), asthmatic germaphobe Stan Uris (Wyatt Oleff), orphan Mike Hanlon (Chosen Jacobs), hypochondriac Eddie Kaspbrak (Jack Dylan Grazer), and “promiscuous” beauty Bev Marsh (Sophia Lillis). In essence, this is an efficient and entertaining horror movie about a bunch of likeable young teens who have to fight a supernatural entity that can appear as their greatest fears— from weird paintings and festering lepers, to headless corpses and the classic spooky clown. Every kid is scared of clowns, right? But it’s actually a lot richer and complicated than that, as these kids are also grappling with down-to-earth problems reflected in those irrational fears: like a gang of school bullies, led by psychotic Henry Bowers (Nicholas Hamilton), and abusive parenting. In fact, it’s very easy to be swept along by It as a human drama, bubbling over with beautiful moments that speak to the everyday appeal of seeing misfits gain strength in friendship and work together to overcome the obstacles life throws at them. It’s perhaps a little unlikely how most of the characters have a scary adult in their lives (a tough-talking grandfather who speechifies against becoming “prey”, the obese mum who suffocates her son’s independence, the predatory “daddy” who wants his little girl to stay that way forever, a disappointed Jewish father), but in a movie about a maniacal shape-shifting clown that’s very easy to forgive. It works on both of its intended levels: it’s a fast-paced and scary horror with enough scares and freaky imagery to make you jump and grin, but it’s also a heartfelt coming-of-age drama with sympathetic characters you want to see come through this nightmare in one piece. King’s the master at crafting simple personalities that, at first glance, seem two-dimensional, but are actually very clever receptacles to pour some of yourself into. Screenwriters Chase Palmer, Gary Dauberman, and Cary Fukanaga (the original director) all understand this fact perfectly, and the assembled cast do a marvellous job at giving these kids a real sense of identity and camaraderie beyond their “quirks”. There are just too many delightful and indelible moments to count: Bev hiding a pack of Tampax from the boys out of embarrassment; fat kid Ben writing a beautiful love letter to Bev as her “secret admirer”, which touches her instantly once she reads it; the victorious rock-throwing fight with the bullies; Bev’s investigation of a whispering sinkhole with measuring tape; and the many imaginative and effective scares, of course. It’d be a shame to spoil those too much here. Another fear with It was seeing if they’d match what Tim Curry did with Pennywise in the miniseries. For many people his performance was a formative horror experience, in an age where seeing something that scary on broadcast television was very rare. Despite the TV adaptation having plenty of weaknesses and having dated in some ways, Curry’s version of Pennywise is deservedly revered. Bill Skarsgård’s take on Pennywise is different enough to stand apart (although I notice he stuck with a similar vocal cadence), and I approve of most of the stylistic changes. I still like how Curry’s makeup was very “traditional”, which made Pennywise’s true nature more unnerving when he revealed a mouth full of fangs, but Skarsgård’s makeup overcomes being more “scary clown” from the moment you clap eyes on him. The visual embellishments to Pennywise are equally as unsettling, despite computer-generated contortions being harder to believe in. 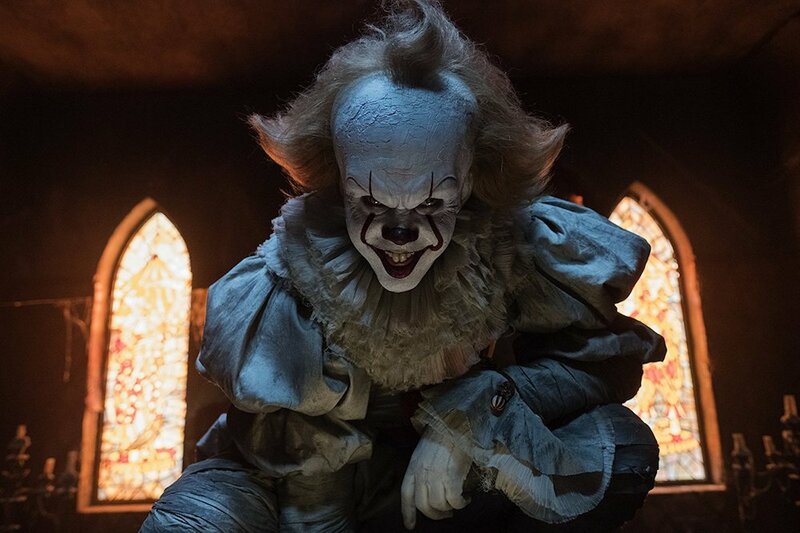 Thankfully, the movie never goes overboard with visual effects, but the augmentation certainly turns Pennywise into a deadlier and more combative entity come the finale. It’s thankfully hard to pick fault with It on any level that matters, beyond idle nitpicking of creative decisions. The horror genre’s been dishing out some effective scare-makers in recent times, with The Conjuring and Insidious franchises, amongst others, but It is more accessible and enjoyable because of its strength of characterisation and subtext. King is a master of horror whose tales don’t always translate to the screen very well (see The Dark Tower just recently), but Andy Muschietti has done a top-class job here. It joins the ranks of The Shawshank Redemption, The Green Mile, and Stand By Me, in my estimation, but it retains the most of what King himself brought to the table. When I left the cinema and walked outside into appropriately pouring rain, I was indeed floating… with elation. writers: Chase Palmer, Cary Fukunaga & Gary Dauberman (based on the novel by Stephen King). starring: Jaeden Lieberher, Bill Skarsgård, Jeremy Ray Taylor, Sophia Lillis, Finn Wolfhard, Wyatt Oleff, Chosen Jacobs, Jack Dyla Grazer, Nicholas Hamilton & Jackson Robert Scott.